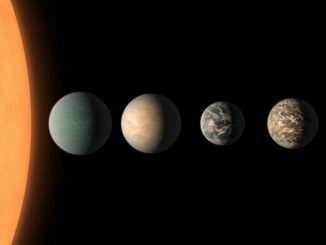 Yale University astronomers have developed a powerful new spectrometer to search for Earth-size planets around nearby stars. Expected to improve precision over earlier ground-based instruments by a factor of 10, the Extreme Precision Spectrometer – EXPRES – is now in operation at the Lowell Observatory’s Discovery Channel Telescope in Arizona. 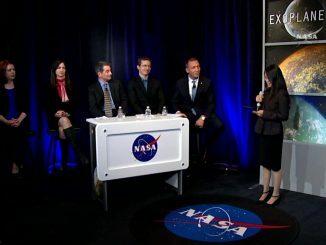 EXPRES is designed to measure tiny doppler shifts in the light from a star as it wobbles back and forth, as viewed from Earth, due to the gravitational tug of orbiting planets. What sets EXPRES apart is its ability to detect radial velocity changes produced by the influence of Earth-size planets. 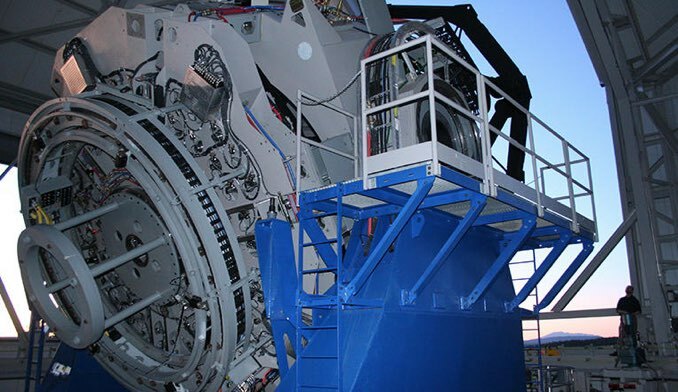 A similar Swiss-led instrument known as ESPRESSO went into operation late last year, scanning the southern skies using the European Southern Observatory’s Very Large Telescope facility. 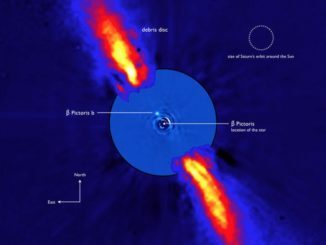 Using data from ESA’s Gaia and Hipparcos satellites, astronomers have managed to deduce the mass of a giant exoplanet orbiting Beta Pictoris by studying subtle changes in the star’s motion over a quarter of a century.